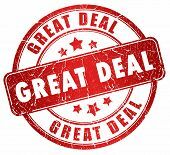 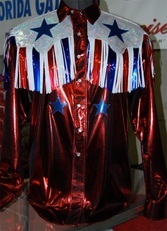 We go all out to make the perfect shirt for you! 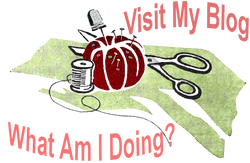 Send us a sketch or tell us what you want and we will go to work! 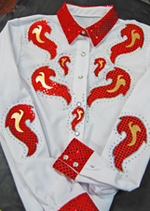 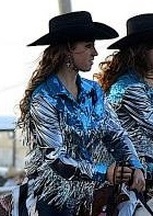 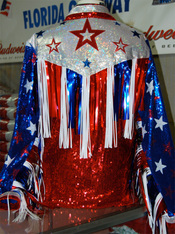 Custom Western S﻿how﻿ Shirts with Bling, Sparkle and Shine! 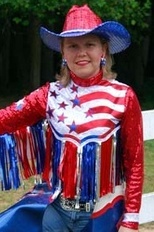 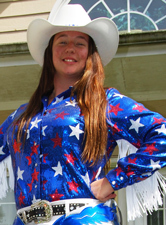 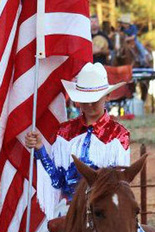 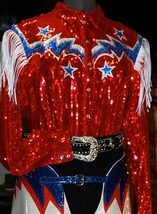 We work with Equestrian Drill Teams, Rodeo Performers and Western Pleasure Riders to help them create their own unique performance costume. 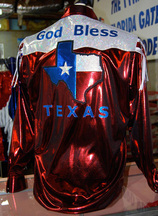 We use fine materials in holographics, metallics, rhinestones, sequins, and mylar to create real show stoppers! 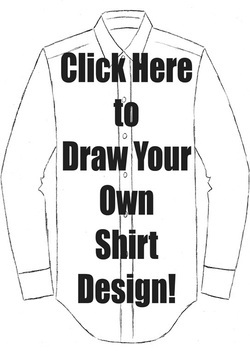 Here's your unique opportunity to design your own shirt...we look forward to work with you. 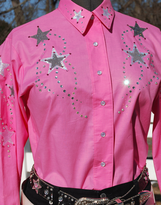 Hitch-N-Stitch Shirts may be ordered in mens, women, and youth sizes. 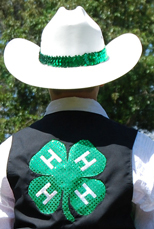 Custom sizing is available for an additional charge. 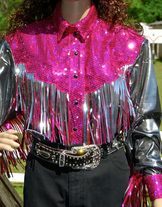 stand-up collars, mock turtleneck collars, western cuffs and collars, western pleasure cuffs and c﻿ollars, or straight hemmed sleeves.